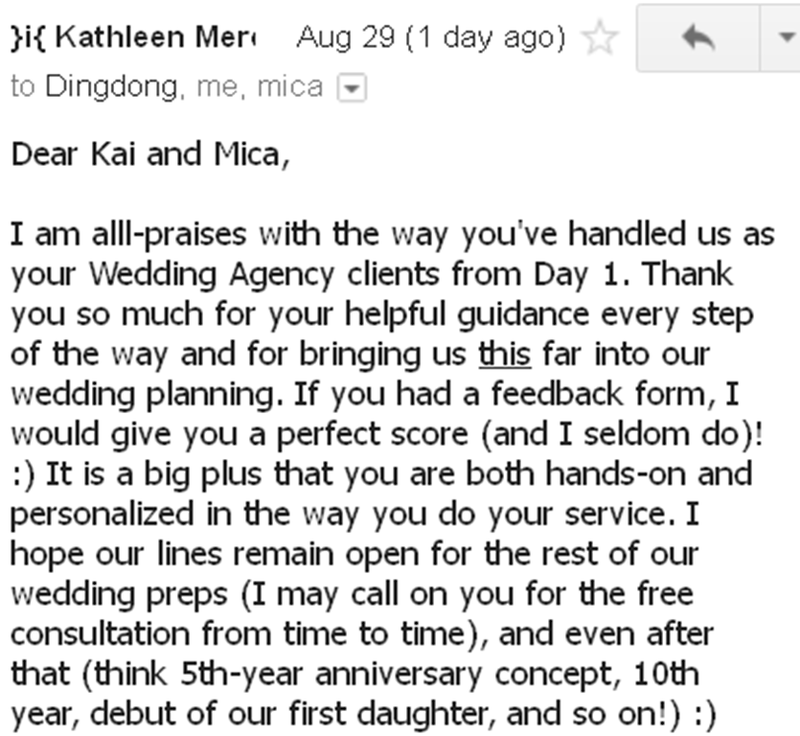 Nothing makes Mica and I happier than knowing that our two babies: RB and WA (Wedding Agency) are touching, inspiring, and making a difference in our beloved readers/clients' lives. Whenever we present to a Wedding Agency client---when a bride's eyes start to twinkle, when the groom finally bursts into approving nods after keeping a poker face, we start to notice and it makes us feel delighted. 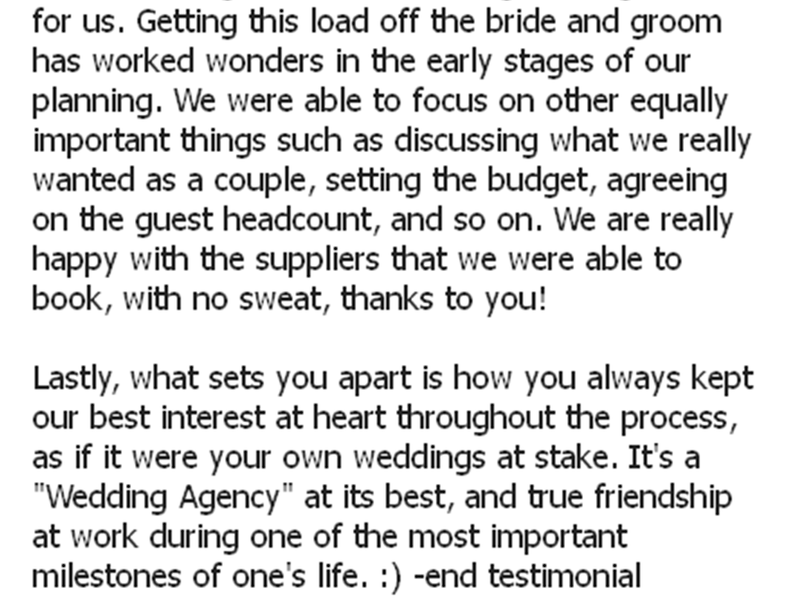 This week we are even more overjoyed by the wonderful messages we've received from two of our beloved clients. Here's a little glimpse of who they are, their respective proposals, some progress on where they are in their wedding planning, their testimonials, and a sneak peek of their soon-to-be wonderful, personalized weddings. For those of you who really follow the blog, you would probably remember that we just recently concluded our first-ever (and super successful) anniversary contest wherein we gave a couple free Wedding Agency services. The Scenario: The wedding is in 4 months and they still don't have a streamlined wedding plan on hand. But one thing's for sure--Loni sure had folders upon folders of pegs! Haha! They even already had a theme in mind. The challenge was really how to put everything together. Loni had folders upon folders of pegs. Therefore, our main job was really to edit her wedding ideas for her to make their wedding more cohesive and more personal to them. The Scenario: Kathleen & Dingdong wanted to have a wedding in Boracay. But with this destination being a popular wedding spot, the challenge was how to make it fresh and unique to the couple. When we were conceptualizing for the couple, they were literally starting from scratch. 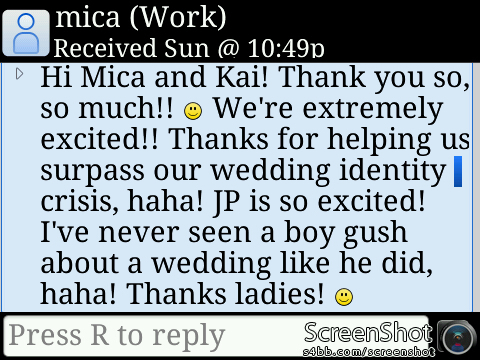 So much so that we even helped them pin down their wedding date vis-a-vis the availabilities of their "dream team" -- that's how involved we were. In the end, the whole process made Kathleen & Dingdong braver and bolder to even add more cool ideas into their wedding. 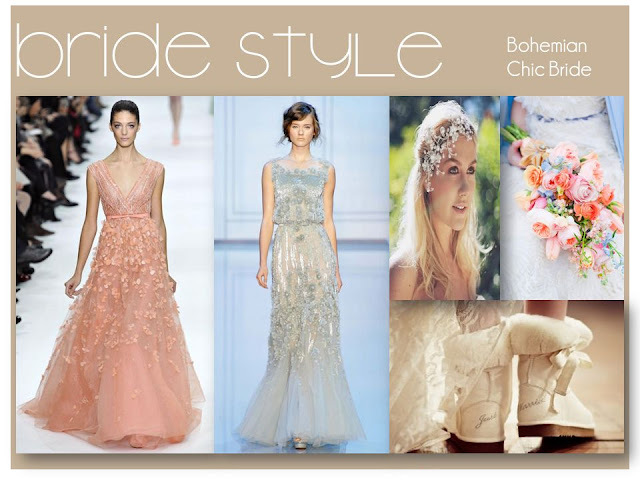 Why do we say that this is the boldest wedding we've thought of so far? Because there are a lot of things in this wedding that have never been done in weddings, much more Boracay weddings -- ever. HOWEVER, since the couple might want to keep these things a secret for now, we won't divulge what these things are yet. All you have to know for now is that this Boracay wedding will not have the usual template. 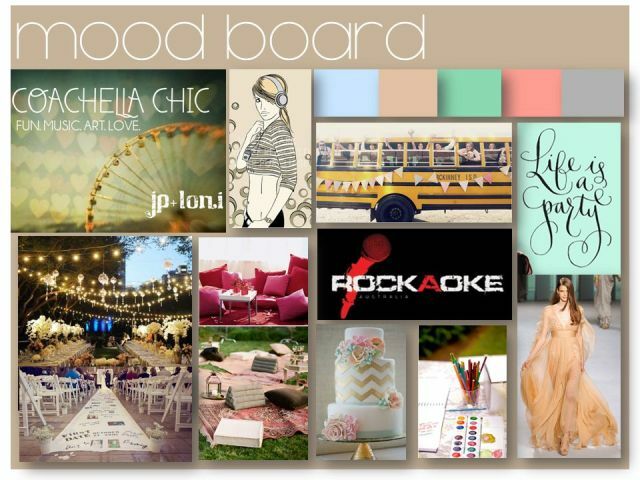 We initially presented 3 wedding ideas to the couple. Inevitably, they chose the CREATIVE CONCEPT which at that time, we called it TechyRomantics. Eventually, this title went through a lot of transformation and even voting among the couple's loved ones. In the end, the final title came from the couple's friend. This was collaboration at its best. We can spend hours and hours trying to up sell our Wedding Agency service. But nothing beats heartwarming, *kilig* messages from our beloved couples themselves.